CEREC is the world’s only system for the fabrication of ceramic restorations in just 1 visit, meaning damaged teeth can now be quickly and conveniently restored. 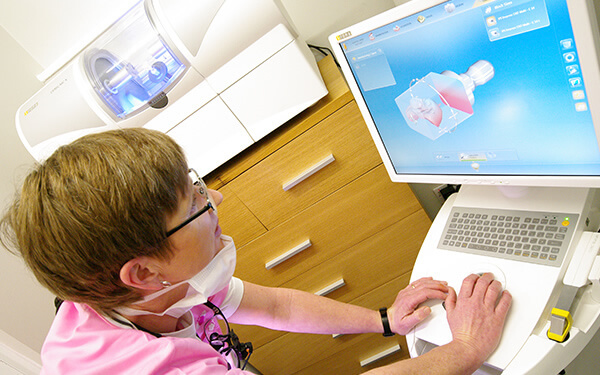 At Distinctly Dental we are extremely proud to provide our patients with CEREC 3D technology. Our in-house CEREC Ceramic Studio means your restoration can now be completed in just one visit to our practice. In the past amalgam [silver] fillings have been the choice for a patient looking for a longer lasting filling with the least postoperative complications. Now we can provide a white material that is better than amalgam. It is bonded to the remaining tooth structure, in so doing, it strengthens the remaining tooth. In many situations less drilling is required as the tooth is restored with an inlay [filling] rather than a crown. Normally with any ceramic restoration, two visits are required and sometimes three. 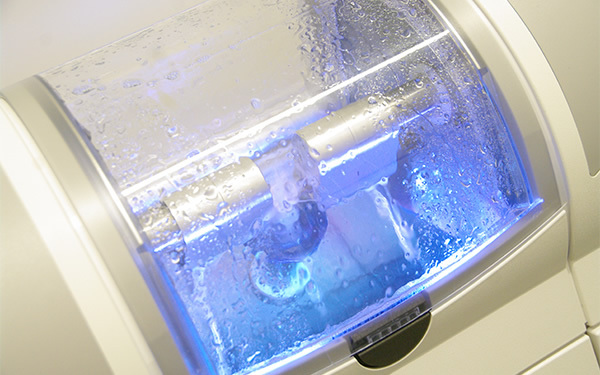 Using CEREC, a high definition image of your tooth is taken using our special camera. The CEREC software creates a 3D model of your tooth and with our help, it creates a perfect restoration. 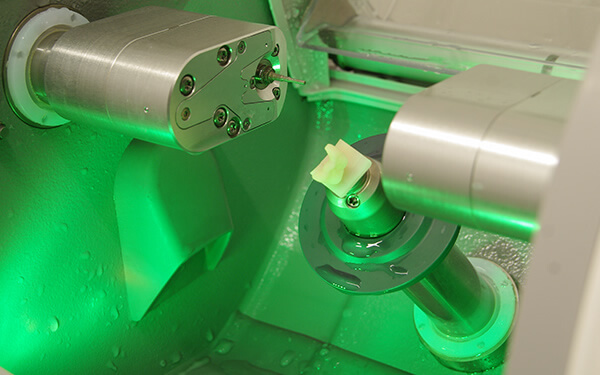 The restoration is then milled by our in house milling machine from a solid block of material to within an amazing 50 microns tolerance and finally the restoration is bonded to your tooth within minutes and the bite checked. We have found our patients love to see the restoration made on our computer and then milled in our milling unit. It almost makes having your teeth restored fun. I am excited and very proud to have invested in the updated Cerec Biogeneric. The camera is now a blue cam rather than a red cam which is faster, easier and more precise. The software has radically improved. It is quicker and easier to use and will actually copy the natural morphology of the patients teeth, hence, for the first time ever we are able to recreate the genetic shape of your actual teeth; this will not only look better, but will also improve longevity. There are far too many improvements to mention! Using the Cerec has been an amazing experience for me and now it has been revolutionised again, simply remarkable. For more information on CEREC, please call 01707 263 404 or click here to make an enquiry. For more information on Same Day Restorations or to book an appointment call us today on 01707 263 404 or make an enquiry.